Atherosclerosis – otherwise known as hardening of the arteries – is a prevalent cause of death in modern societies. The condition arises from the build-up of localized fatty deposits called plaques in the arteries. Macrophages, the phagocytic cells of the immune system, migrate to these sites, inducing chronic inflammation which exacerbates the accumulation of the atherosclerotic lesions. These can lead to obstruction of major vessels, causing heart attack and stroke. A team of medical researchers led by Ludwig Maxmillians University (LMU) Professor Andreas Schober in Munich, Germany has now identified a particular microRNA (miRNA) that helps initiate the inflammatory process. The work was published online on March 19, 2013 in Circulation. miRNAs are short segments of RNA derived from longer precursors transcribed from defined stretches of the genomic DNA. The miRNAs act as versatile regulators of gene expression in cells, and also control the function of macrophages, in which patterns of gene activity must respond rapidly to changes in the extracellular environment. “However, the miRNAs that control the inflammation process during the various stages of atherosclerosis had not been identified up to now,” says Professor Schober. In an earlier study, Professor Schober and his team had shown that the microRNA miR-155 is a prominent member of the miRNA population in macrophages. The molecule prevents the synthesis of a protein that inhibits the inflammatory reaction, and thus promotes the progression of atherosclerosis. However, miR-155 does not serve as the initiator of inflammation. Professor Schober and his colleagues have now looked at the patterns of microRNA expression in atherosclerotic lesions in the mouse, and noted that levels of a different miRNA, called miR-342-5p, increase in very early plaques. In August 2011, researchers from the U.S. Department of Agriculture (USDA) were presented with a serious, and potentially very costly, puzzle in Kennewick, Washington. 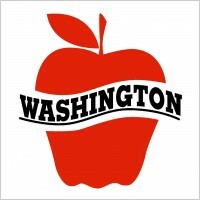 Because Kennewick lies within a region near the heart of Washington state's $1.5 billion apple-growing region, an annual survey of fruit trees is performed by the Washington State Department of Agriculture (WSDA) to look for any invading insects. This time, the surveyors discovered a crabapple tree that had been infested by a fruit fly that they couldn't identify. It was possible that the fly's larvae, eating away inside the crabapples as they grew toward adulthood, belonged to a relatively harmless species that had simply expanded its traditional diet. In that case, they posed little threat to the surrounding apple orchards in central Washington. But the real fear was that they represented an expansion in the range of the invasive apple maggot fly, known to biologists as Rhagoletis pomonella. If so, then this would trigger a costly quarantine process affecting three counties in the state. "In one of the world's leading apple-growing regions, a great deal of produce and economic livelihood rested on quickly and accurately figuring out which one of the flies was in that tree," says Dr. Jeffrey Feder, professor of biological sciences and a member of the Advanced Diagnostics & Therapeutics initiative (AD&T) at the University of Notre Dame. "And for these flies, it can sometime turn out to be a difficult thing to do." As Dr. Feder and his team, including graduate student Gilbert St. Jean and AD&T research assistant professor Dr. Scott Egan, discuss in a new study in the Journal of Economic Entomology, the WSDA sent larvae samples to Dr.